A Breath Of Fresh Air is just that. Have you ever thought about how therapeutic it is to visit the beach? Toes in the sand, sound of the waves and breathing in the fresh sea air! 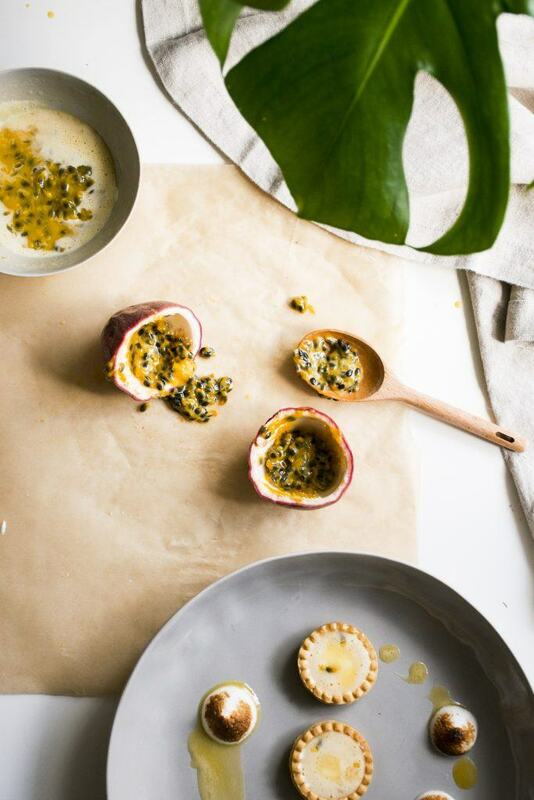 Tangy hints of passionfruit and mango, soothing gentle—yet distinct flavor of vanilla, united together with the adamantly addicting CBD Dough, these bite size tarts are super decadent, sweet but refreshing treats bursting with the flavors of coconut, mango, passion fruit, and vanilla. Pop one in your mouth, and allow the creamy ease to take you to your next beachside destination. 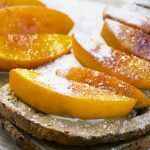 The tangy pastry cream is made from a mixture of the tropical fruit: mangoes and passion fruit, cashews, coconut cream and sweetened with maple syrup or agave and subtly flavored with a splash of vanilla extract. The base is made of gluten-free rolled oats, almonds, shredded coconut, dates, coconut oil, and a few servings of our CURED Dough. An on-the-go nut based squeeze pack, that is sure to satisfy cravings while delivering the highest of quality broad spectrum CBD oil. 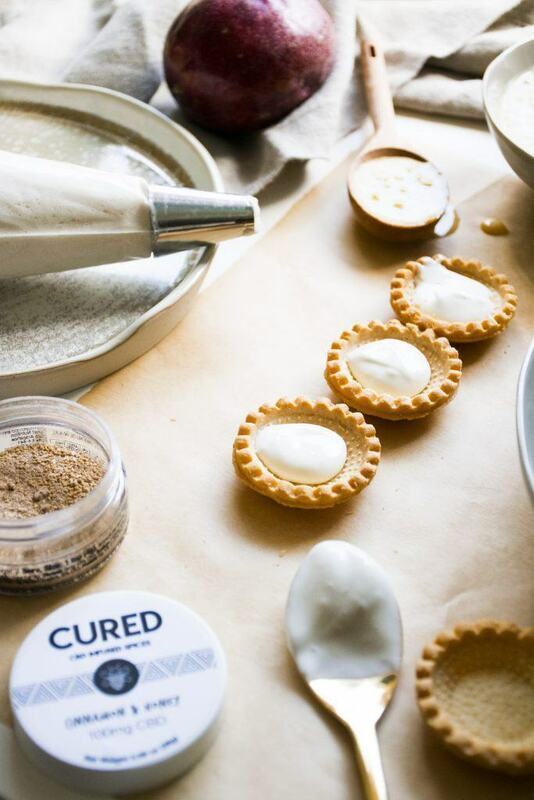 Take your CBD squeeze pack on-the-go, roll it up in bite size energy balls with oats, or combine it together with the ingredients below to lay the foundation to the mango custard. 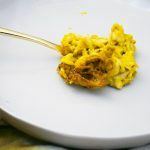 This nut butter + cookie dough steals the show in this recipe not only from its use of broad spectrum CBD distillate extracted from the highest of quality Colorado-grown organic hemp, but also its diversity and flavoring alongside the tangy mango and soothing vanilla. Grease a 8-inch tart tin to make one large tart, OR grease four 3-inch tart tin with a removable bottom with coconut oil. In a food processor combine oats, almonds, shredded coconut and process until coarsely ground. Add dates, coconut oil, CURED Dough and rice malt syrup, pulse until mixture looks like wet sand. Make the pastry cream. Place all of the pastry cream ingredients into a blender and blend until completely smooth and creamy. Pour the pastry cream into the cooled tart shells and place the tarts into the fridge for the pastry cream to firm up for at least 30 minutes. To store, keep the tarts tightly wrapped in the fridge and eat within 2 to 3 days. The mangoes will start to discolor if cut too long. 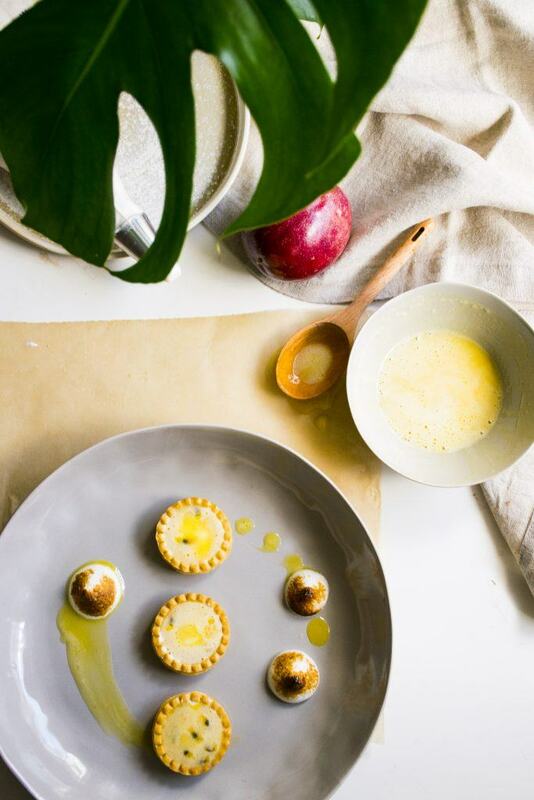 You can always wait to add the mango to the pastry filled tart shells until ready to eat.